Which rotund, anthropomorphic and iconic mascot just turned 50? Nope -- KoolAid Man hit that milestone a few years back. Over the weekend, Mr. 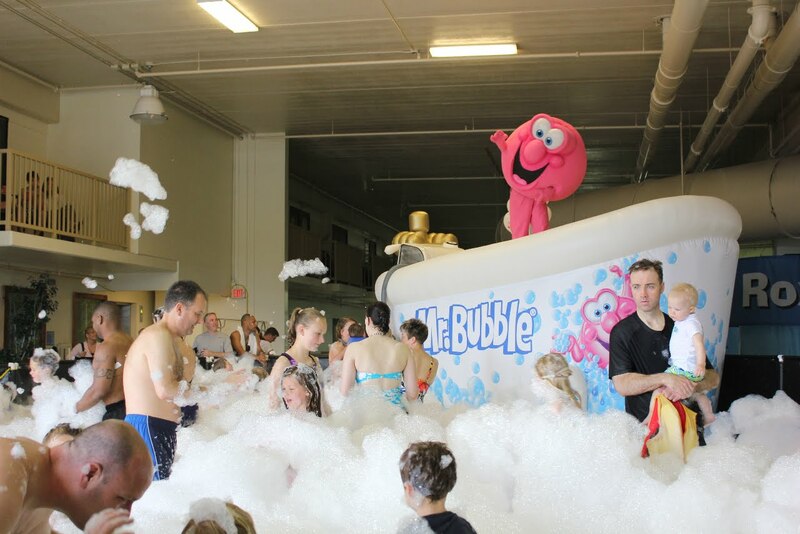 Bubble celebrated a half century of keeping kids clean, with the world's largest bubble bath. Did your childhood bathtime ritual include this li'l pink dude? You can still find him today, in a variety of forms, including bubble bath, foam soap, body wash and hand soap. Funny. I was looking at the bottle of Mr. Bubble & thought about your book. When I was a kid, Mr. Bubble was always in a pink bottle. I use the white bottle Mr. Bubble for my kids. I remember getting Mr. Bubble for Christmas one year. An odd gift, but appreciated nonetheless. I also remember putting Mr. Bubble in a kiddie pool... which didn't work out so well.